Firewood on hiway- 53 located on the Northern end of Gull Lake markets & delivers split, cured poplar,birch, pine & tamarac firewoods in Central Alberta. We serve Ponoka, Rimbey, Gull Lake, Winfield, Crestomere, Red Deer, Bashaw & areas. We’re glad you’ve found us!! We sell firewood a little differently than most others in the business, as we’ve discovered that people truly like to pay for ONLY what they take. We’ve determined that selling wood by the cubic inch fits the bill. We measure the unit that you will use to transport your wood – truck, trailer, car trunk, use your imagination – we’ve seen it all – and then figure out by cubic inch just how much of a cord you have loaded. You pay accordingly. Preferred methods of payment are cash or e-transfer. If you can catch us on the phone, and it is not muddy in the wood yard, we are open. We also have a message machine that will help you in contacting us, so PLEASE - give us a call. 403-783-8804. We look forward to meeting you, & doing business with you. Delivery can be arranged & is $50.00 1-30km. & $1.00 per km. one way after that. If you have a lot of gravel miles, the per km. charge may be higher depending on gravel conditions. This image show 4 different types of order going out, and will range in price from 36.00 to 140.00 - the difference is in the type of wood and the total amount you take- you are the always the final decision maker in the process. I am adding this disclaimer to protect our business from those who would strive to challenge us on outdated posted information. Google maps Earth View shows our old gate sign displaying pricing. Please note that this pricing is no longer in effect, and will not be honored. This was pricing as of 2014 when Google Earth photos were taken, and we are powerless to remove it. C​urrent pricing will always be available on our website which will be deemed to be the correct and only pricing that we will honor. Our firewood yard is holiday trailer accessible. * Weather Dependent * Of course if it's raining, or really wet out, we can't even access our wood yard. We do have PINE under a covered shed on gravel for those rainy days. Some Reviews from our customers . . . I ordered 2 cords of wood from thefirewoodpeople to be delivered to our cabin, the truck showed up and Melody backed the trailer right to where we wanted , VERY impressive she can thread the needle for sure! The big dump trailer is a bonus. I will definitely give them a call next time! We would like to shout out a great big thank you to Scott and Melody Campbell for telling us about and supplying us with the best firewood there is! Tamarack burns hot, no sparks, very little ash, and your glass and chimney stay clean! Scott and Melody are two of the nicest people you would ever want to meet, so very honest and friendly. 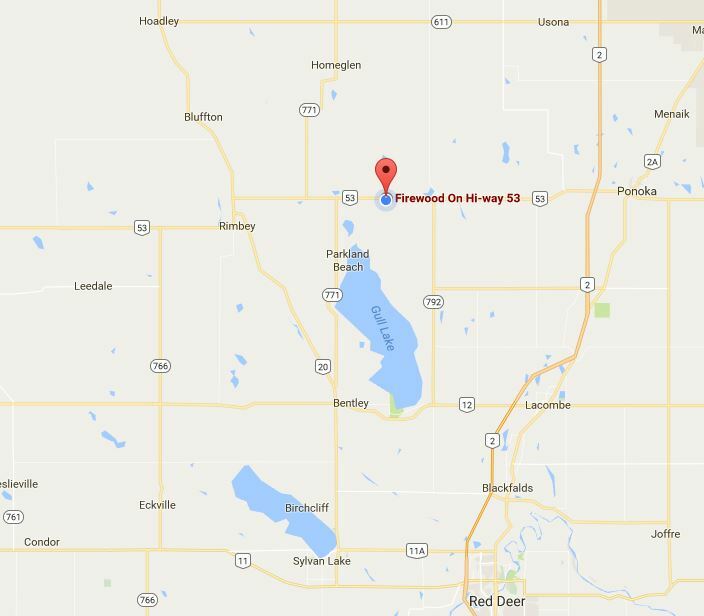 I picked up a load of dried, cut, and split pine firewood at Firewood on Hi-way 53 yesterday (Nov.21/16). They measure your vehicle then charge you for the wood you take, not a flat rate for a truck, which may have a short or long box, vary in size by manufacturer, and may or may not have a cover which affects how much wood fits in a load. When I stopped with my load to pay, Melody noticed I didn't fill my truck as high as she measured, so she recalculated my bill. You can't get more fair than that. Before you go, give them a call first. If you're looking to buy some firewood, I do recommend Melody & Scott on HWY 53. Hello Scott, between your ad on Kijiji and your webpage, my wife and I were interested in the firewood you were selling. Prices were reasonable and the detail about different types of wood was very interesting. We had no trouble finding your place from Red Deer, the map was detailed and the written information was accurate. When we arrived you pointed us to the direction of the wood we decided on taking after talking to you about the intended purpose of the wood. I have never used TamaracK before, so you encouraged us to try it out as well after discussing the burning properties of the wood. You were very detailed when measuring our truck box and gave us a business card with the information on it for next time. The experience was great and I would have no problems recommending you to other people who need firewood. I purchased a box load yesterday and I must say that I was very impressed with the professionalism and kindness of everyone...I've got a lot of wood and I will absolutely be returning for all my future purchases Jason Heffer - Blackfalds, AB. This is the second year we have ordered wood from Scott & Melody and to say we are happy about the quality of wood and friendly delivery service would be a severe understatement. Good quality wood delivered cheerfully to exactly where you want it at very reasonable rates make them #1 in our books. Our first meeting with the Campbell’s was several years ago after we had bought our first older home that was heated by natural gas furnace, but came with a livingroom wood stove. We went up back and Scott took time from his “splitter” duties to explain size, length and type of wood available, sorted into different piles. We self loaded our older 3/4 ton pickup within Scott’s worksite view, with him suggesting filling up “empty holes and corners”, to get a true full pickup load. The cost was very reasonable, with quality of dryness and suggestion of Tamarac providing very cosy 6 hour evenings as well heating most of our 1425 sq. home to 72F. Wood for subsequent winter seasons was purchased/sometimes free from others but did not give satisfactory winter comfort! So........this 2015/16 season had Melody deliver 1 cord each of Tamarac and Poplar, neatly and safely dumped in separate piles at our location for easiest in piling into woodshed and everything at reasonable cost! The wood is dry, well seasoned, has easy starting and burns hot, and longer as “fed”. The delay resulting from trying other sources of supply has proved to be very wise in our decision to return to Melody & Scott for product selection and great service at FIREWOOD ON HI-WAY 53. We have been getting our wood for the past 6 years from Melody and Scott delivered to our farm - always the best service and best prices we can get!! They are honest and very kind folks and I love their wood!!! Best of service and quality !!! 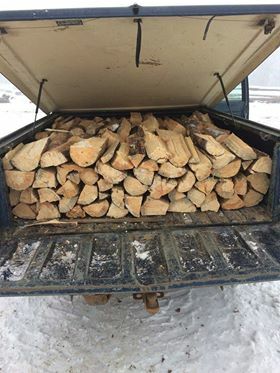 "Having just just completed our 5th annual purchase of firewood from Melody & Scott of "Firewood On Hi-Way 53", we have once again been impressed by the top shelf service, quick delivery and high quality firewood provided at a great price. The birch firewood is fantastic and we look forward to a great summer around the campfire at Gull Lake! " Hello to everyone in the Rimbey, Bentley, Ponoka and surrounding areas. We have been dealing with Scott and Melody for quite a few years in buying wood from them. If you want to get a wonderful selection of quality dry firewood such as Tamarac, Poplar, Pine or Birch at a reasonable price, they are the couple to deal with and wicked friendly. Firewood on Highway 53 is our go to place. ​ We have been purchasing wood for two years now from firewoodonhi-way53. Scott and Melody are wonderful, honest people to deal with. Every purchase has been top quality wood at a reasonable cost and has been delivered in almost as quick as they can load it. When you order a cord of wood, you get an HONEST cord. We will continue to get our wood from them as long as we are in the area.